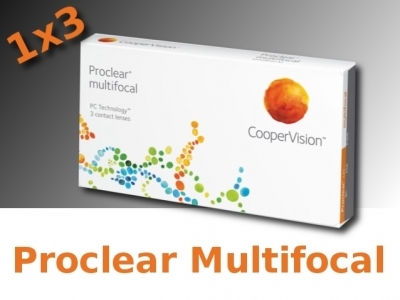 Proclear Multifocal are a monthly multifocal contact lenses from Cooper Vision. 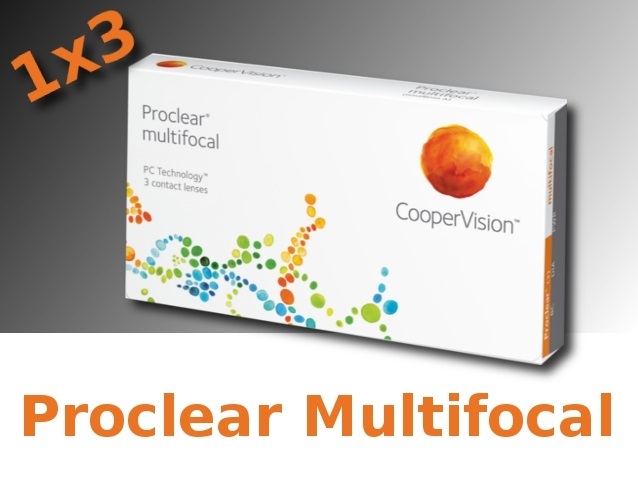 Proclear Multifocal contact lenses are the ideal choice for those currently experiencing the effects of presbyopia. CooperVision® Proclear® multifocal contact lenses have a proven track record of providing outstanding vision, health and comfort. And the Proclear multifocal lens-fitting system offers you more control and flexibility when fitting presbyopic patients. Featuring Balanced Progressive Technology, Proclear multifocal lenses combine spherical and aspheric optics and unique zone sizes to produce a "D" lens for the dominant eye and an "N" lens for the non-dominant eye. These two lens designs work together to maximize binocular visual acuity at all distances—near, intermediate and far. The exclusive PC Technology ensures increased wettability by allowing more water molecules to bind themselves to the lens. This may help those suffering from dry eyes, reducing the need of extra wetting additives. This contact lenses are only on order. We don't have them in our magazine.